Novissima et accuratissima XVII Provinciarum Germaniae Inferiorus Tabula. Ex Officina I. Covens et C. Mortier. Elaborately and beautifully decorated map of the XVII Provinces with the west on top. To the left the legend is topped with a cartouche with a rampant lion with a sword. At the bottom of the cartouche there is the crest of Johan Munter. 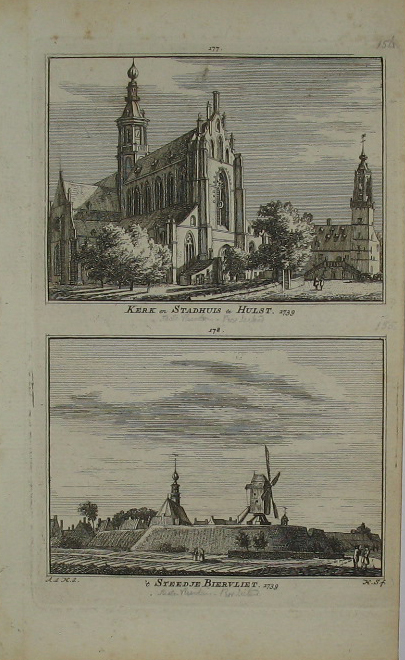 Munster was a wealthy merchant in Amsterdam whom held several posts of honour in Amsterdam. He became commissioner of the exchange bank, he was ‘Schepen’ [city councillor], was a member of the governing body of the V.O.C. and finally became major of the city. 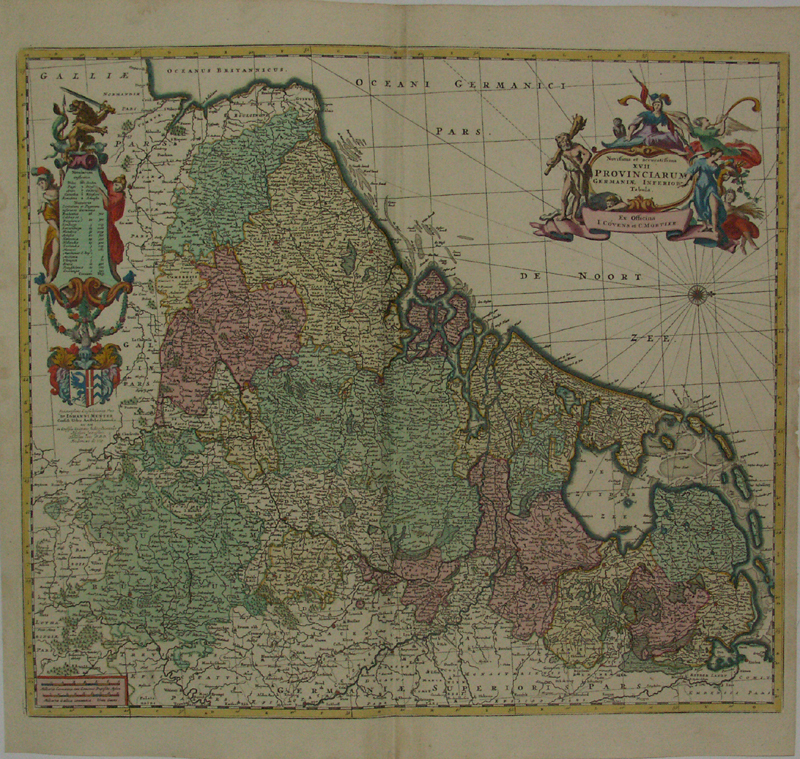 This map is an exact copy the map by Nicolaes Visscher I. The first state was published in 1672. The map by N. Visscher I was copied to the smallest detail by Frederik de Wit, Justus Danckerts, Bormeester, Gerard van Schagen, David Funcke and John Seller.